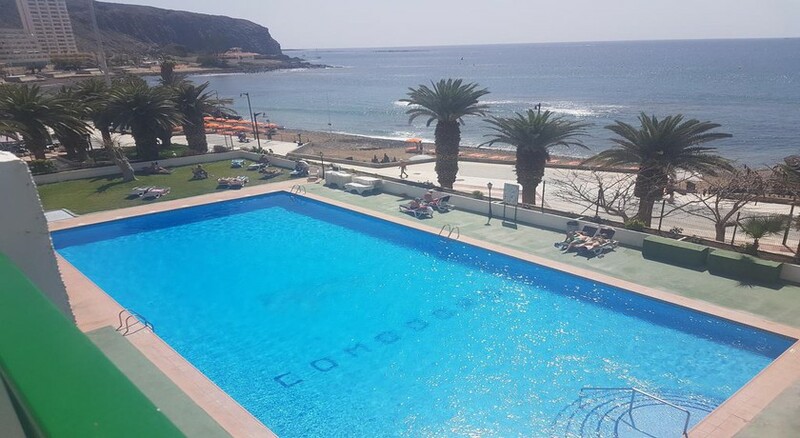 The Comodoro Apartments complex is located in Los Cristianos, just one minute from the nearest sandy beach and a short distance to the lively Playa de las Americas resort. 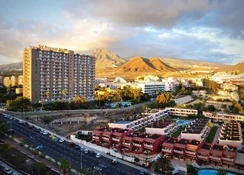 The hotel itself boasts an inviting swimming pool and sun terrace perfect for relaxing, while there’s an abundance of activities and entertainment in the surrounding resort – including splash-tastic Siam Park, Golf Las Americas Golf Areas, shopping and more in addition to restaurants and bars. The Comodoro Apartments is an 11-story building, which houses 166 apartments and pleasant common areas to make guests feel at home. 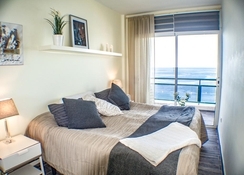 The rooms offer stunning views of Los Cristianos Bay and the neighboring island of La Gomera. In addition, its location allows its guests to contemplate stunning sunsets from their rooms. Comodoro Apartments is located less than 1km from the city center, steps from the beautiful beaches of the area and the port. Not far from the hotel you’ll find fun-loving attractions such as Aqualand and Siam Park, which is crowned for being one of the most fascinating water parks in Europe. The Tenerife South Airport is at a distance of around 16km from the hotel. The hotel offers a total of 166 apartments. 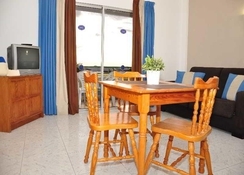 The comfortable apartments feature modern, wooden furniture with a balcony, a living room, a well-equipped kitchenette, cabinets, mini fridge, a bathroom, a safe, a telephone with direct access to the outside and a television with cable and satellite channels. Comodoro Apartments offers its guests a host of dining and drinking options at the Ocean View restaurant and lounge Bar. The area surrounding the hotel is full of restaurants with typical Canarian food along with international cuisine. If you’re looking to continue the evening’s entertainment with a party, head into the nearby Playa de las Americas where you can explore a host of bars and pubs. Have a refreshing dip at the outdoor pool and lounge with a great view of the Atlantic. From the nearby jetty you can depart on exciting fishing expeditions, pleasure trips, glass bottom boats rides, day trips to neighbouring La Gomera and much more. Most of the action, both day and night, is concentrated in the pedestrian zone that borders the beach. Guests can also enjoy a day of golf at the Golf Las Americas Golf Course, which is at a distance of 1.4km from the hotel.